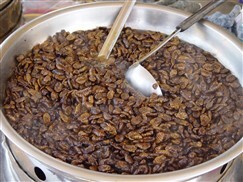 Beondaegi is boiled silkworm pupae, which have been boiled/steamed and seasoned. It is a widely popular street side snack in Korea that has made its way into international Korean grocery stores. To find beondaegi in Korea, just follow your nose. 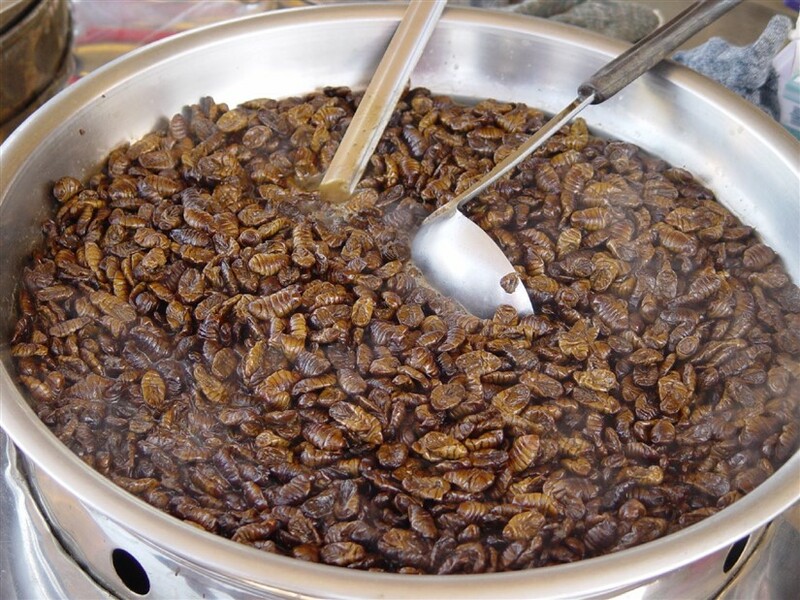 The bugs are boiled in large pots filled with boiling water and the cooked bugs have a nutty smell. Beondaegi can also be found in bars as an accompaniment to alcohol. 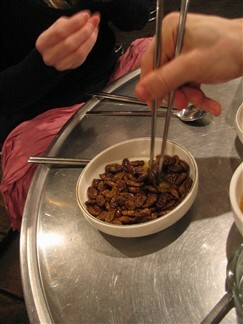 Beondaegi tastes like raw chestnuts and has a crunchy texture. It is usually served in paper cones. For those who only have access to canned beondaegi, it is a good idea to marinate it in a sauce made from soy sauce, gochujang, sesame oil and other spices.